Yes, it’s still summer but that fact hasn’t stopped me from drinking Côtes du Rhône. I’ve happened to open two bottles of Côtes du Rhône Villages over the past week, one a revisiting of a supply I purchased during the colder months, the other a new discovery. They’re both from the 2009 vintage and great values for their quality. Indeed, this wine tastes as dark as its hue. The flavor is dense and earthy; there is no mistaking that you’re imbibing the terroir. The wine is a blend of Grenache (90%) and Syrah (10%). 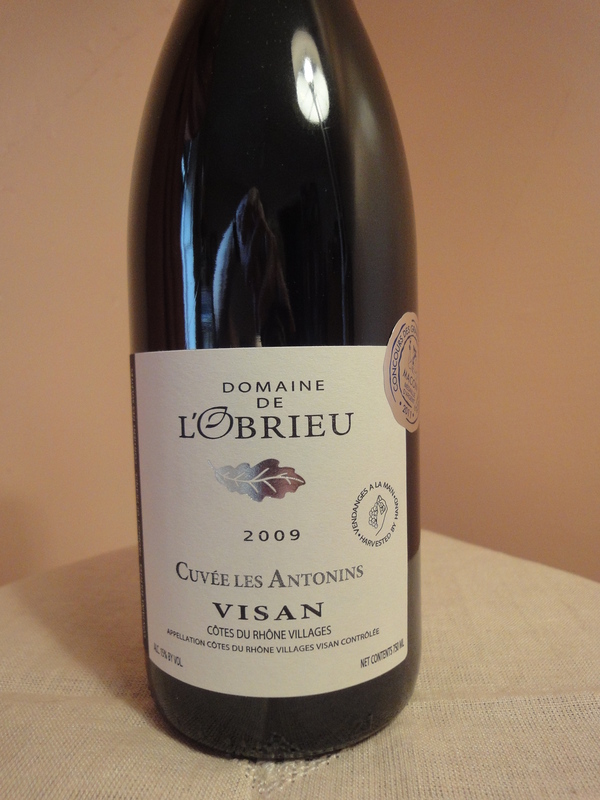 The label indicates that all grapes hail from the commune of Visan, a distinct Côtes du Rhône Villages appellation. Beyond its beautiful expression of the earth and the vines, this wine offers another promising story of a youthful winemaking couple, carrying on a family tradition. Ownership of Domaine de L’Obrieu passed from father to son last year, and Jean-Yves Perez and wife Cecile will be able to claim full credit for their 2012 vintage. I look forward to trying it! If supplies last, this wine is on offer by the case at Sherry-Lehmann through Aug. 31, 2013, for an unbelievable $144. 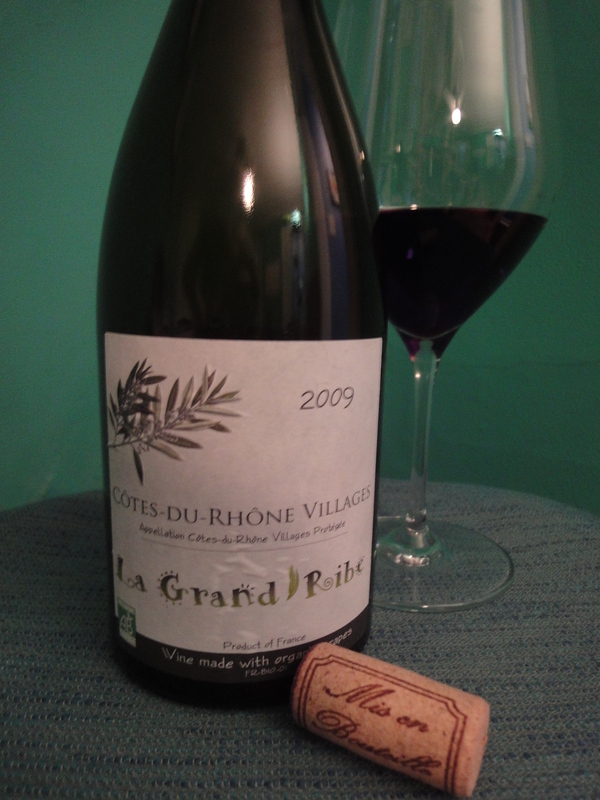 La Grand Ribe Côtes du Rhône Villages, 2009 – I found this wine in the “Robert Parker Recommends” area of Buy-Rite in Jersey City. The $9.95 price was an irresistible invitation to try it. Now I’m sorry I didn’t buy more, as it seems to be sold out at that store – although an online search indicates it’s readily available elsewhere. La Grand Ribe, a small producer, grows its grapes organically, and indicates that this wine contains a minimum of 50% Grenache and 20% Syrah and/or Mourvèdre, and a maximum of 20% other grape varieties. 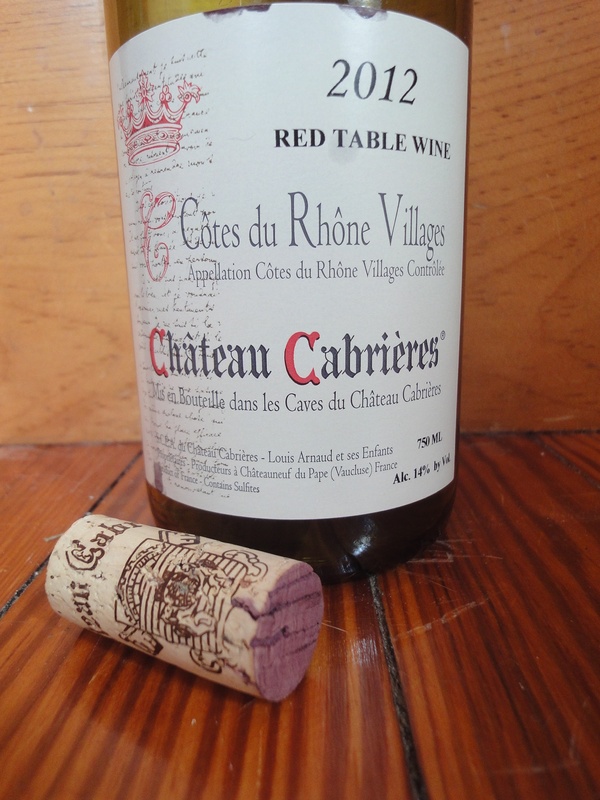 Compared to the L’Obrieu, this wine is less dark and intense, but its Côtes du Rhône pedigree is equally undeniable. The flavors suggest dark fruit, smoke and herbs. I looked up Parker’s review, which was a rave, calling the wine a “sensational effort” and giving it 91-93 points. Absolutely worth seeking this one out.